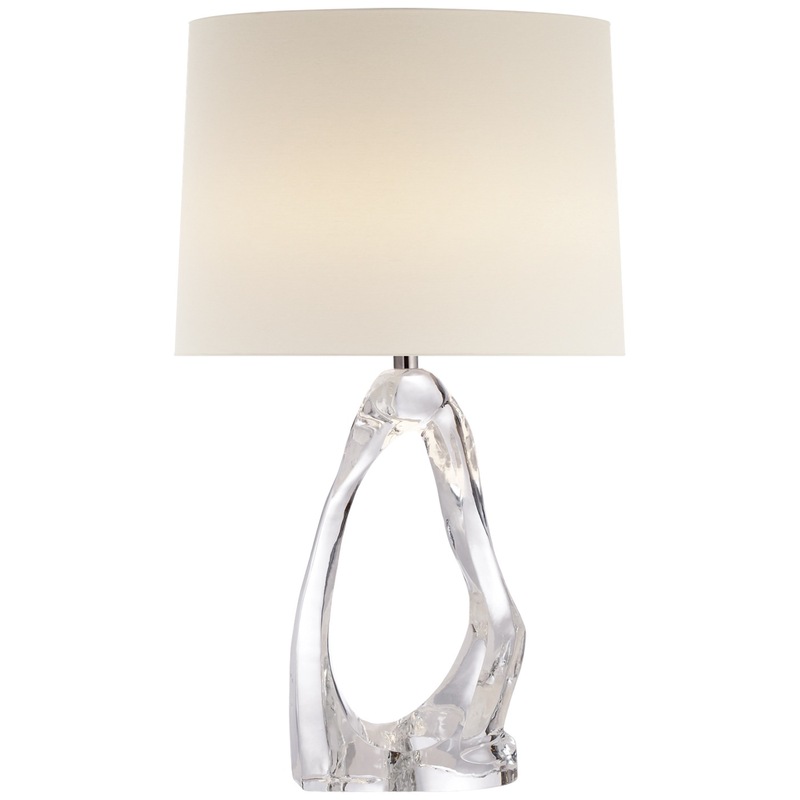 Evoking awe-inspiring natural rock or ice formations, this lamp is both intriquing and modern. 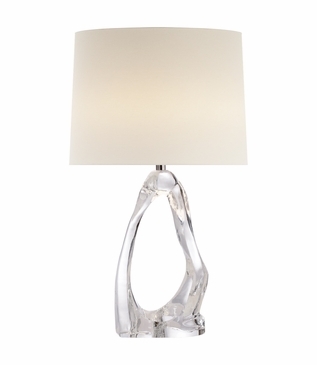 Exquisitely formed of clear glass, the nature-inspired shape is elevated by its see-trough composition. Topped with a round linen drum shade. French-wired. 1-150W maximum Type A-E26 bulb (not included), dimmer switch at socket. UL Listed.